My second labor experience was my worst. My son was 11 pounds and he was sunny-side up. Going on hour 25 I remember thinking, “This will never end. I will be in labor forever.” That was, of course, a ridiculous thought. But the pain made me lose perspective. I wanted to hold that sweet baby in my arms, but I couldn’t see past the painful work in front of me. I wanted to reap, but I didn’t want to sow. That’s often how I approach discipline as well. I want the benefits of well-behaved kids, but I forget how much work it takes to get there. I get impatient when my discipline doesn’t pay off right away. I teach my little ones all day long about kindness, self-control, and good manners. The next day I wake up to find that I have to do it all over again. Where is the harvest? When do I get to see the fruits of my labor? When I get to the end of one row of soil, there’s another one. And another and another. There is the promise of fruit, but some days all I can see is endless sowing. I saw in my friend a glimmer of hope for my future. Right now I am still on my hands and knees in the soil, planting, planting, planting. I’m disciplining for the same things day in and day out. I’m a broken record of godly character traits and gospel truth. My friend is still planting, too, but her crop is a few years further along than mine. The little green shoots are dotting the soil and every once in awhile she stoops to pick the first sweet fruit of the harvest. Lately I have been getting those glimpses of harvest in my own home. Yesterday my 6yr-old knocked his little brother down and immediately helped him up again. He even apologized – on his own! Later I heard two brothers fighting and before I could step in I heard the 7yr-old say, “You boys should make peace with each other. How can you show love to your brother?” I treasured that sweet fruit. But I knew it wasn’t time to sit back and enjoy the harvest. Not yet. I still have much sowing to do. We get ourselves into trouble with our discipline when we expect to reap during a season of sowing. Discipline catches us by surprise. We think, “Didn’t I already teach you that? Didn’t I JUST discipline you for that?” We’re surprised how hard it is. We’re surprised how sinful our kids are and how much work discipline really takes. 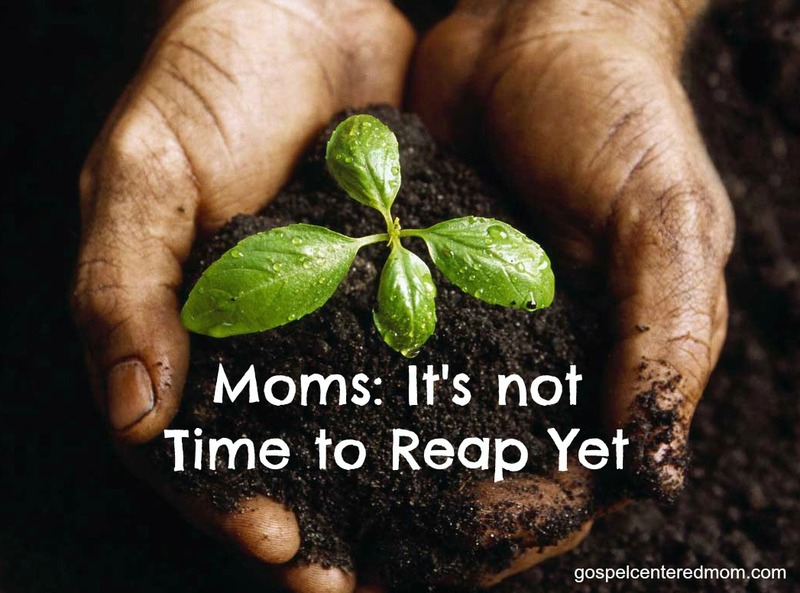 We want to reap when it is still time to sow. My hubs and I are walking the same path. Our littles are still that. Little. They are learning , but it's slow. Sometimes painful. This article is a breath of fresh air to this momma in Georgia. Thank you. 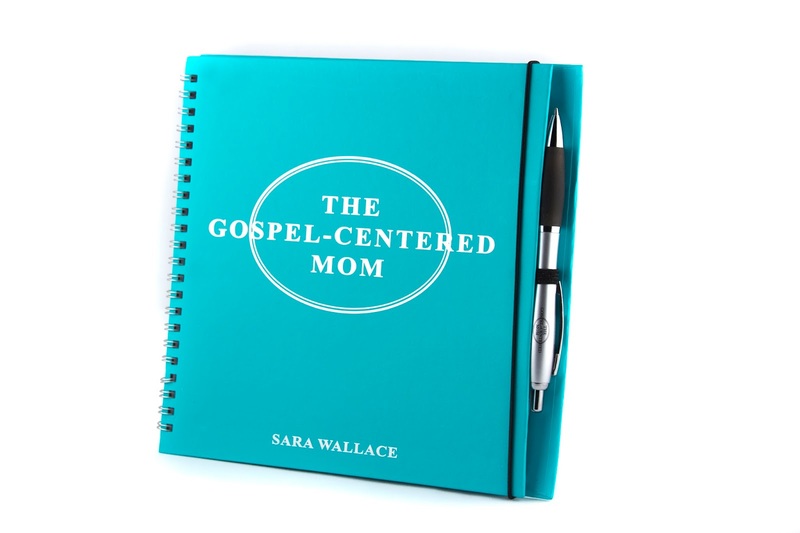 hands down one of the best motherhood posts I have ever read. such truth and wisdom. thank you!